Oscar was doing the work of a kid and an adult. Oscar is a bright, inquisitive fourth grader, who loves to be helpful to those around him, especially his single mother, who used to speak little English. Being the “man of the house,” Oscar took pride in acting as his mom’s translator for things like rent payments, doctor’s visits and parent-teacher conferences. Until last year, Oscar worked diligently in school and made good grades. But that drastically changed. 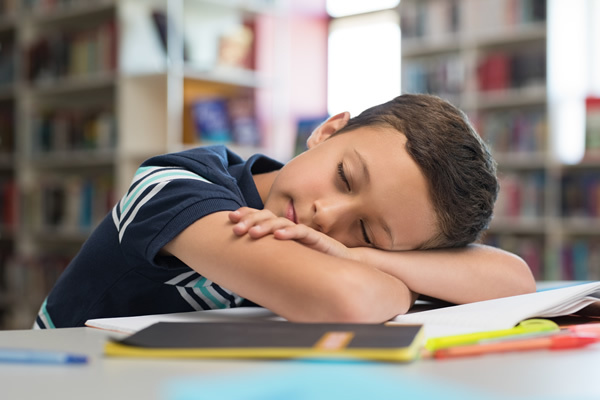 A quarter into the school year, Oscar began sleeping in class and was not completing his homework. He stopped participating in class discussions, and his grades slipped from A’s and B’s to D’s and F’s. His teacher referred Oscar to our after-school program. Our staff worked with his teacher to develop academic improvement goals for Oscar. He was assigned a tutor, and our volunteers worked patiently with him to complete his homework, but usually Oscar was too tired to focus. This went on for several weeks without much progress, until one of our staff members happened to work late at the office one evening. She was startled to hear a little tap at her door. It was Oscar, asking to empty her wastepaper basket. It turns out that Oscar’s mother had been assigned the night shift cleaning office buildings and took Oscar with her, because she could not afford evening childcare. Some nights, Oscar would fall asleep curled up on the floor of someone’s office. Sadly, this is not uncommon among children of low-income parents. The next day, our staff member contacted Oscar’s mom and worked out a plan to advocate for her to be assigned to the morning shift. The employer agreed. Oscar was able to take our bus from his school to the center, and his mother picked him up on her way home from work. Oscar’s mom also enrolled in our ESL classes on Saturday at the center to improve her English language skills and prospects for better employment. In turn, Oscar’s grades have improved dramatically, and he is back on track to achieve whatever he puts his mind to. For even the hardest working families, the financial challenges they face can be insurmountable. You can help a diligent child like Oscar overcome those challenges and reach his dreams by donating now.